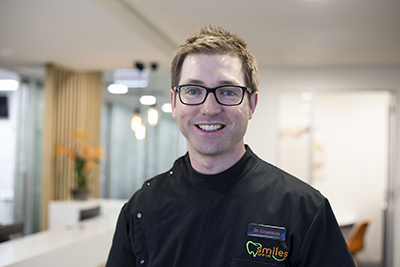 David prides himself on keeping up to date with the latest technologies and materials to help patients achieve a healthy, highly functional and aesthetic smile. He practices a broad range of general dental services including cosmetic, CEREC ™ CAD/CAM, Invisalign ™ orthodontics, surgical, paediatric and implant dentistry. David has a special interest in dento-facial aesthetics and he offers a range of facial injectable treatments to help smooth wrinkles, soften deep lines and grooves and create more beautiful lips. Many patients will be anxious when having dental work done and David will do his best to make dental appointments as gentle and comfortable as possible. Away from dentistry, David enjoys commercial aviation, golf, fishing, gym, and football.